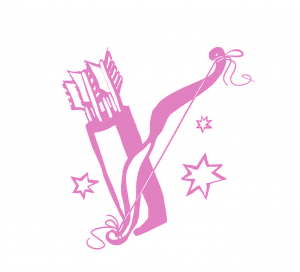 Sagittarius Monthly Horoscope for March 2019: There is a strong emphasis on home, family, and personal matters in the astrology of March for you, dear Sagittarius. This is a time for rediscovering old projects, reorganizing the home, and dealing with past problems in new, empowering ways as Mercury retrogrades in house four of your solar chart from the 5-28, and a New Moon occurs here on the 6th. It's about improving your support system and the support you give to others, as well as paying particular attention to home matters and your personal life. There can be vivid memories and important discoveries, as you find lost items or uncover resources. You may be facing up to a neglected area of your life that now seems quite important to revisit, and you have a lot to gain as you do. There are treasures to be found in the past! Work matters are in strong shape as well, although with Mercury retrograde for much of the month, you may be better off working on projects already in progress. You're sure to gain new insight into, or receive useful tips or advice regarding business, financial, and other practical matters, and although minor problems or delays can be part of the package, it feels good to strengthen key areas of your life. Your working or daily life is set to change with Uranus now a long-term guest in your solar sixth house (from the 6th). There can be interesting surprises, and you'll need to be ready to adapt. Better yet, be proactive and determine what may need to change to make the most of your routines, and then set on a path to adjust. This is a long-term influence that will take some time to evolve and unfold, and this means you have a lot of time to work on these things--it's a process, not a big rush. The goal now should be to think outside the box, doing things a little differently so that you're more faithful to yourself, growing and improving rather than sticking to what you've traditionally done regarding taking care of your health and concerning the work or chores you do. You had a preview of this Uranus transit from May to November last year, and now it's here to stay for the coming seven years. Adapting to a changeful working environment or daily affairs in the period ahead can be stressful in spots, but also more rewarding when you realize you can meet the challenges! It's a time when sticking to your habits or usual methods fails to satisfy, prompting the need to make changes. Rest assured that you'll discover new, more authentic ways of expressing yourself through your work. Improvements or other opportunities at or through work can come out of the blue, and the temptation to break out of monotony or other lifeless aspects of a job is intense. You can bring fresh insight to your work now and in the years ahead, although you might be impatient with rules and schedules. Daily routines can be chaotic, and your energy/motivation levels tend to be up and down as you wrestle with inspiration. While it can be a little chaotic at times, especially at the beginning, you are learning to tap into your inner genius. The Sun moves into a creative, romantic, and playful sector of your chart on the 20th, and in the weeks ahead of this date, this transit will awaken your feelings and desire to share your affections and creations. On the same date, the Full Moon occurs in your social sector, and a social or networking matter can come to full bloom, setting you on a new, fresh path. There can be some drama with friends and lovers or strong feelings coming to the surface, and you'll be in a better position to understand what and who you want once the impatience of the moment passes. There can be some competitiveness in the air with Venus and Mars at odds. Keep in mind, too, that quick commentary or announcements may be premature. It's important to give everyone some space, as there are rebellious, freedom-seeking themes now, but this doesn't have to be extreme. Conflicts and clashes that might occur now can be highly revealing. In fact, March is especially strong for solving problems at home or with business, as well as for optimism revolving around work matters and living conditions, even if forward motion is not yet apparent. Patience helps you to see this! It's a good time to work on a budget or troubleshoot finances and strategies. Self-improvement efforts can be magnificent with several influences on your solar chart encouraging you to rebuild or rework something to make your life better. This can be a work project, efforts to manage your personal space, time invested in maintaining a prized possession, or a project related to improving your health and well-being. It may be that anger or frustration over your current situation motivates your improvement efforts, and this is a constructive use of Mars energy! It's a great time to streamline, reorganize and downsize, although paying special attention to intangibles in your domestic world shouldn't be ignored in the process. Efforts to improve the atmosphere on the homefront can go a long way. 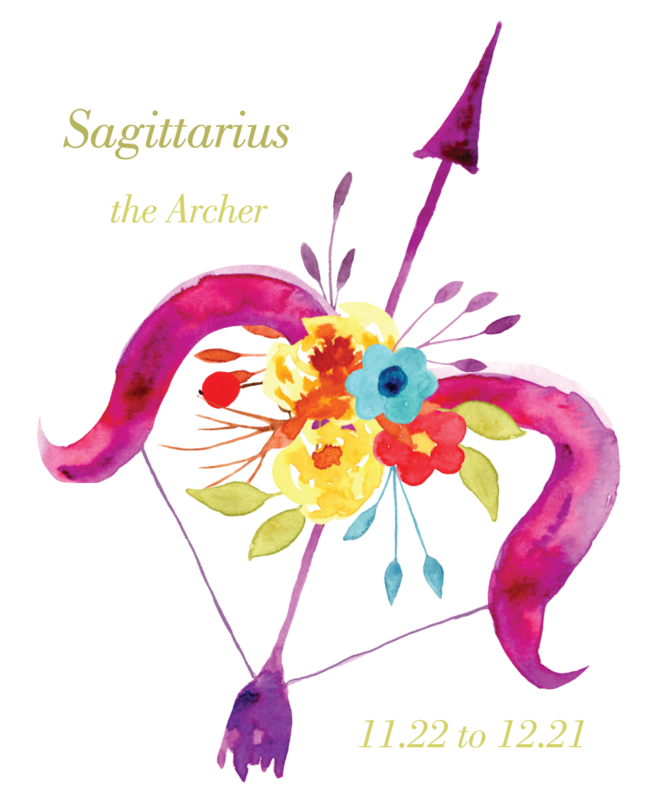 This is set to be one of your banner years, dear Sagittarius! The year 2019 finds your ruler, expansive Jupiter, in your sign until December, and you can similarly find yourself more comfortable in your skin in 2019, feeling very much your true self. In truth, many Sagittarians have felt out of their element in recent years, largely due to a Saturn transit to their sign followed by Jupiter in the background of their solar charts. The year 2018 was an improvement, but also found you a little reclusive. Now, there is a sense that they’re back on track, coming out of your shell, and more confident than ever. While you’re expressing yourself more freely and joyfully this year, you’re also paying more attention to your practical affairs. You have two heavyweight planets in your sector of money, income, and personal resources, insisting that you simplify, transform, and shape up these things. It can be an essential time for developing and honing your talents, watching your money more closely, reducing or getting rid of redundancies, and treating yourself with more respect. The idea now is to take care of your resources so that they take care of you! Wherever Saturn is currently transiting, we may face some lessons, but while there can be some need to downsize or clean up your act, it’s not anything you can’t handle, and it will serve you exceptionally well going forward. While Saturn is asking you to be responsible with your money, Uranus wants you to find a more authentic approach to your job, daily life, and routines. This can be tricky at times, but manageable. You’re moving toward a fresh approach to your work and the daily details of your life. Irregular schedules and perhaps some disruptions and tensions are possible this year as you adjust to this influence. Your working hours may become non-traditional, or a job may be unconventional. You are restless with routines and tend to answer to your own internal rhythm rather than paying attention to society’s (and nature’s!) rhythms. Work that is limiting or lifeless drags you down more than usual. It would be wise to find work that offers you not only variety and stimulation but also the chance to invent and create. You may also take an interest in alternative health methods. You would benefit greatly from yoga or other mind-body therapies now. Uncertainty about living arrangements or conditions can figure strongly in 2019, too, and can sometimes throw you off your game. This is due to an ongoing Jupiter-Neptune square that holds some potential to waste your time or could lead to passing over opportunities, only if you let it. Watch for procrastination and escapism, especially, and for attaching yourself to impractical ventures. It’s fine to shoot for more, but setting your sights too high may lead you to miss out on real opportunities right in front of you. You may be dealing with control or possessiveness issues this year as Saturn and Pluto are pushing for a new way of approaching what’s yours and the North Node is encouraging you to round things out with a healthier approach to sharing and support. Doing more sharing seems to compete with your desire to be self-sufficient. However, look for opportunities to turn around a problematic emotional or financial situation. You get tremendous support this year for your efforts to take charge of your finances, develop your talents, and find new ways to make money from hidden or current resources, as well as for business development. Most of 2019 is about exploration and discovery as you test your boundaries, express yourself, and enjoy greater confidence. As the year advances, there is a stronger focus on building upon the fabulous new ideas you’ve picked up during this intuitive, spontaneous period. 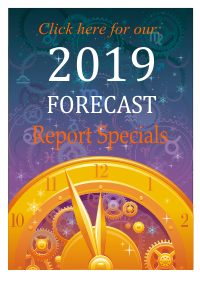 You’ll be more interested in concrete results, and with Jupiter, your ruler, heading towards alignment with Pluto as you close out the year, you get tremendous cosmic support for achieving them. Note: Read the sections for both your Sun Sign and Ascendant for a better picture of what lies ahead for the day. For example, if you are a Sagittarius with an Aquarius Ascendant, read the forecast for both Sagittarius and Aquarius. 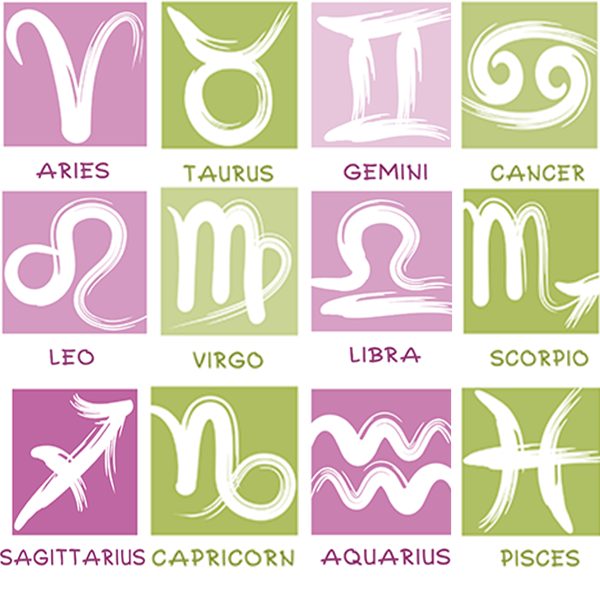 Horoscope guides for Sagittarius and Sagittarius Ascendant.